Appalachian Sun - flower delivery London and UK gifts. Wild but sophisticated, classic but innovative, this bouquet is a world of contradictions brought into harmony. 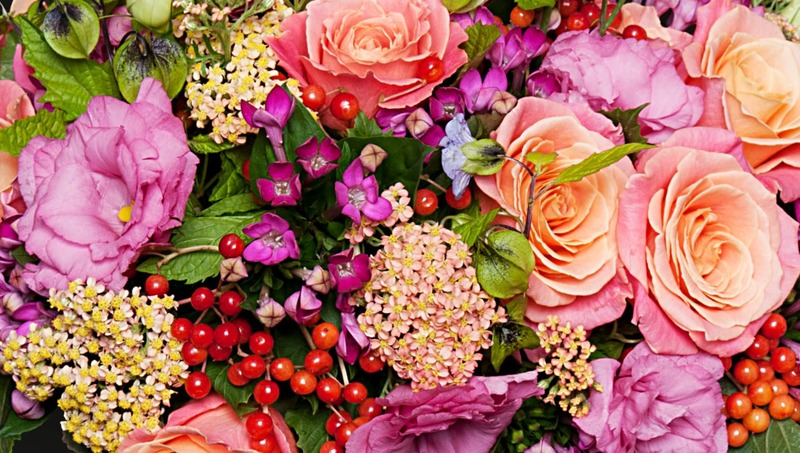 The pink lisianthus, pink roses, red hypericum and pink viburnum create a cacophony of riotous colours and textures. The aesthetic is one of discord brought into order, a range of flowers that would not usually be matched together, producing a wonderfully surprising bouquet of delicacy and poise that will charm all who receive it. Loved the flowers - great value and best I've had so far.